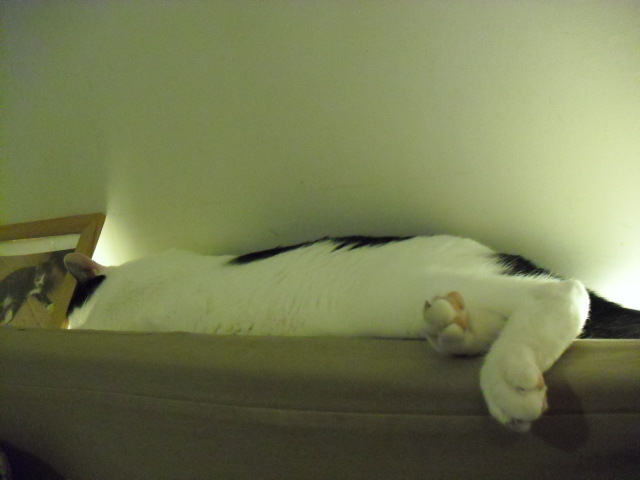 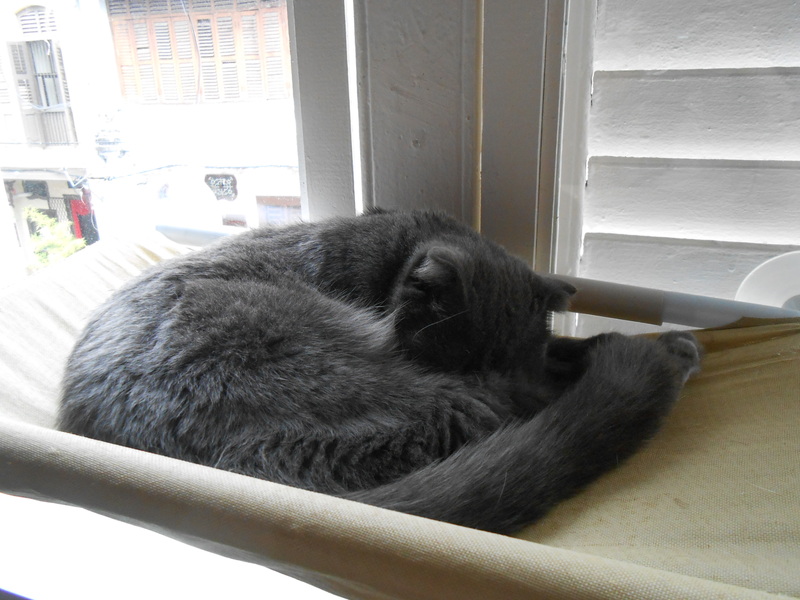 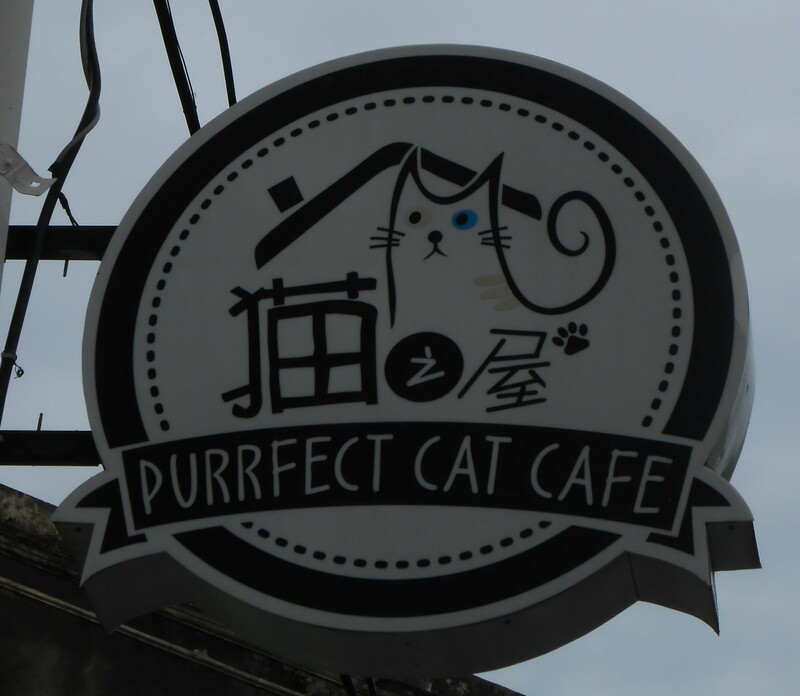 This cafe only has one cat, and it was stretched out asleep above one of the booths the day I went. 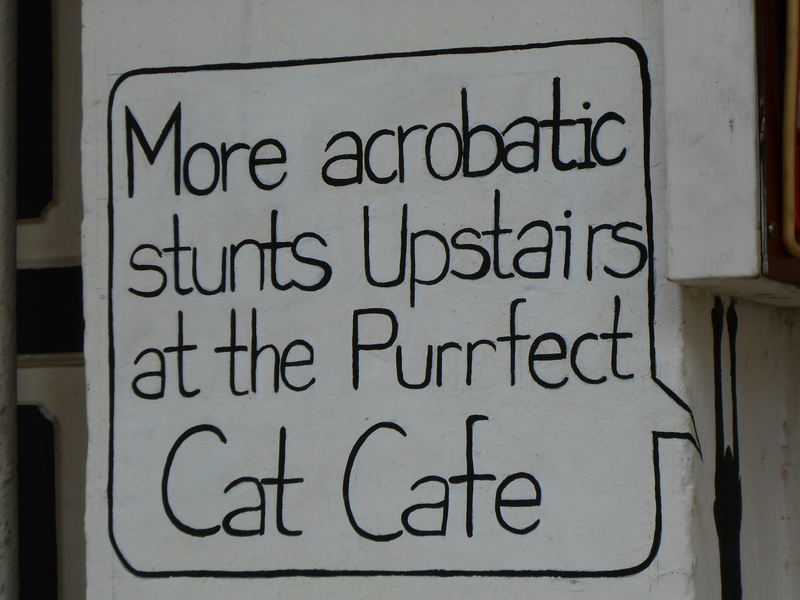 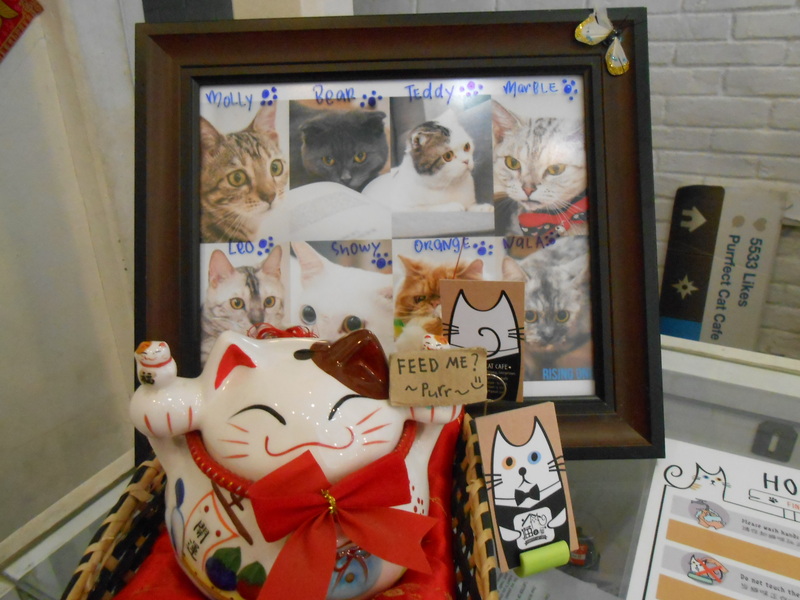 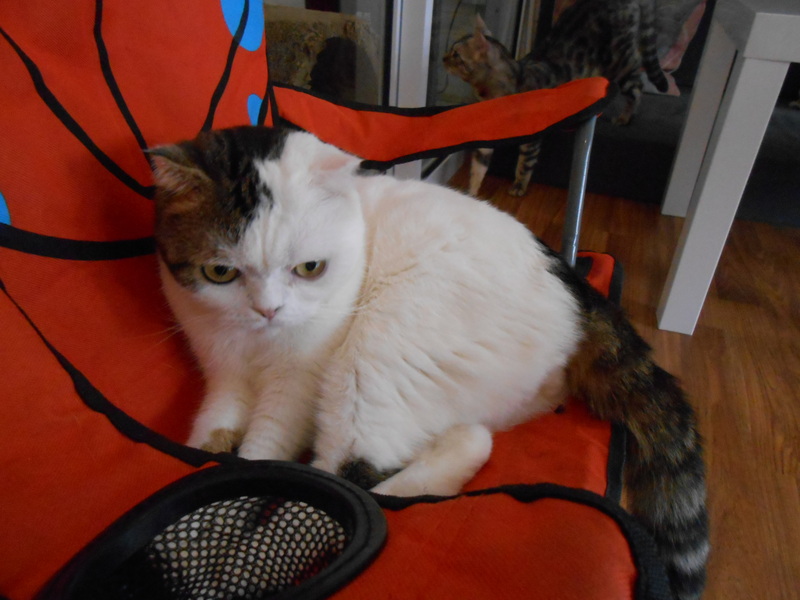 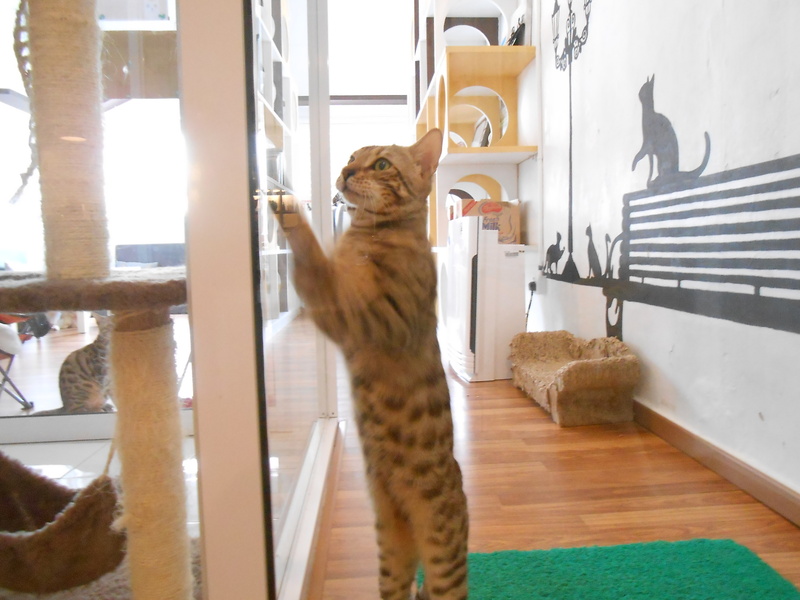 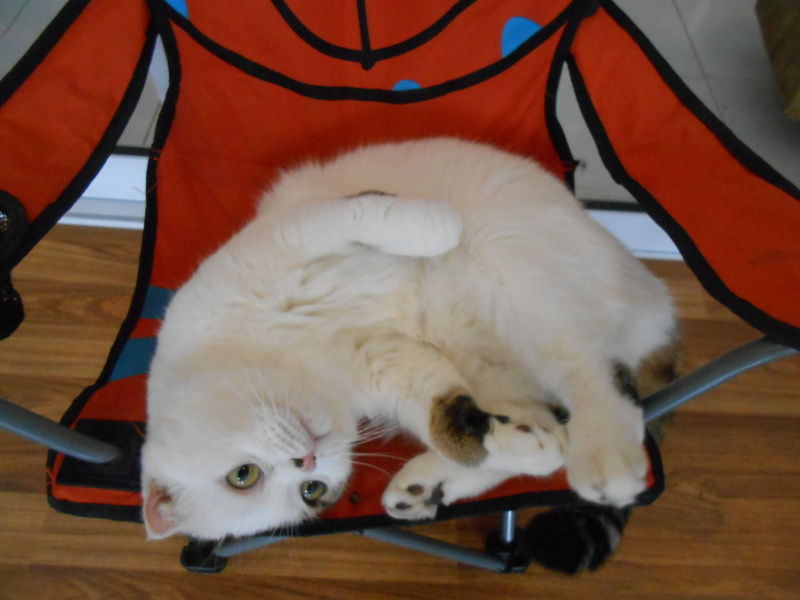 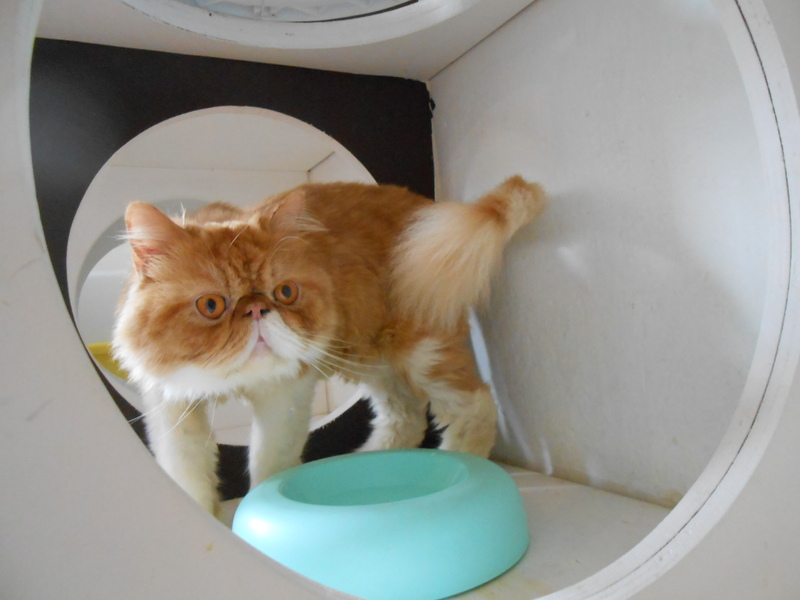 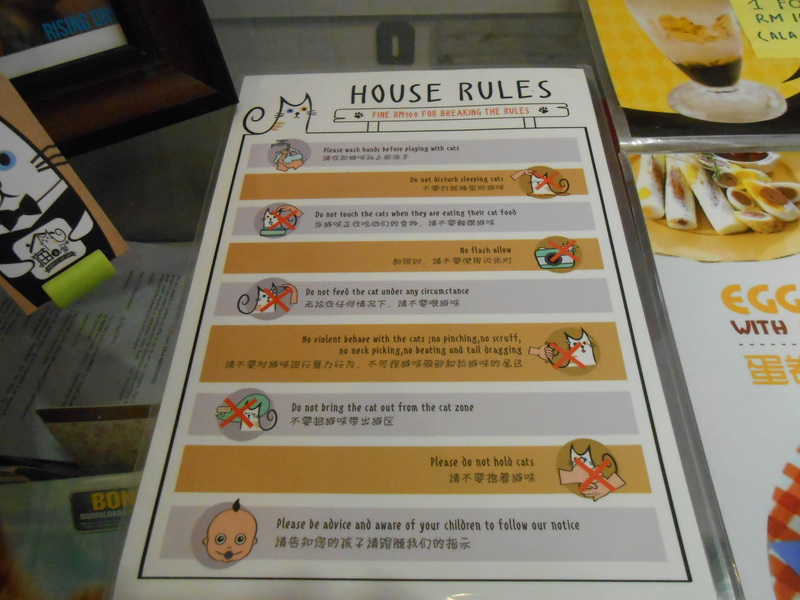 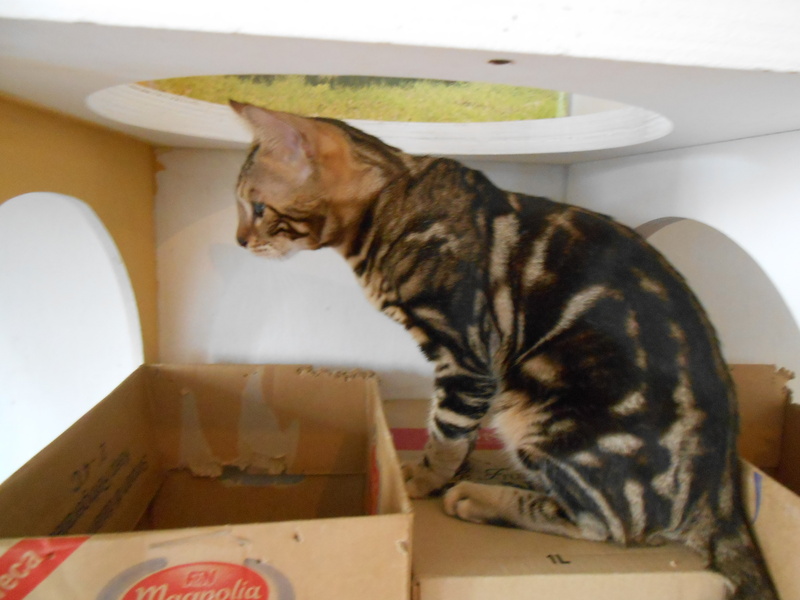 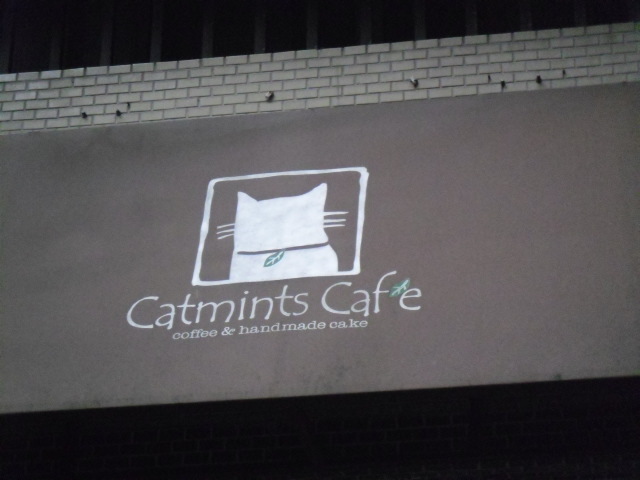 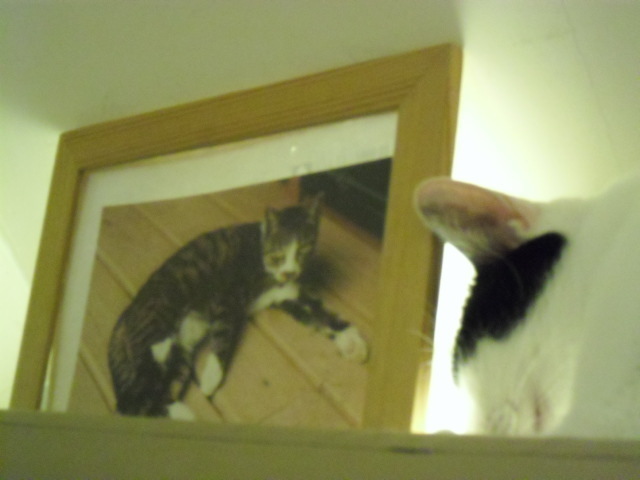 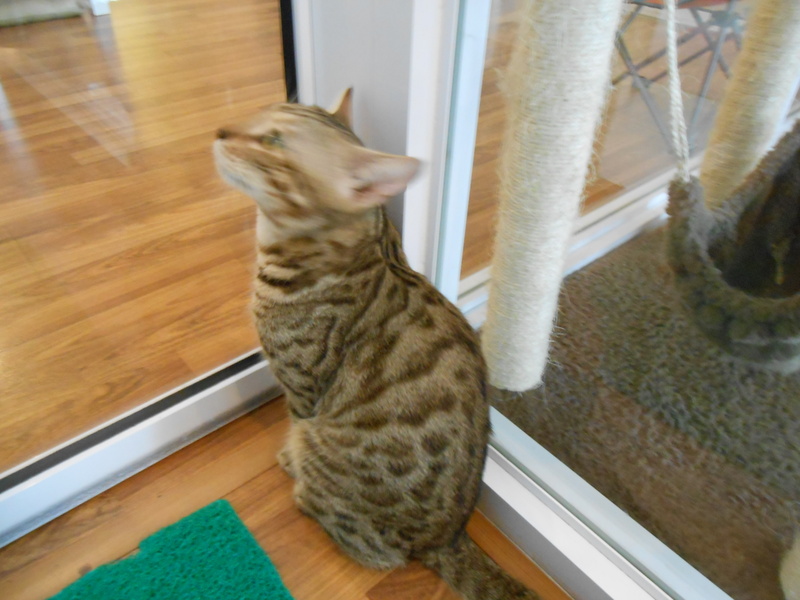 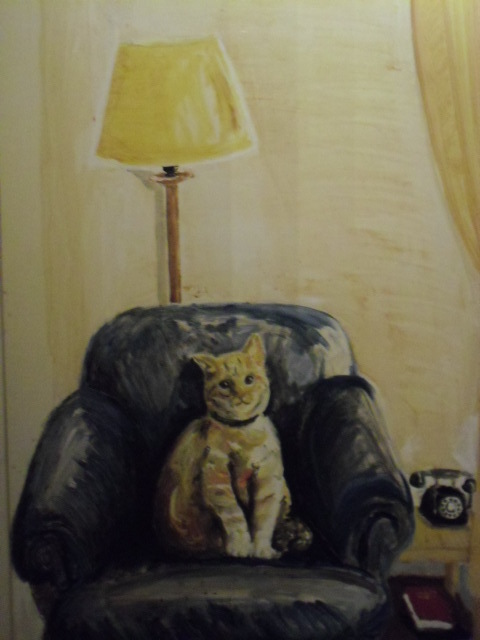 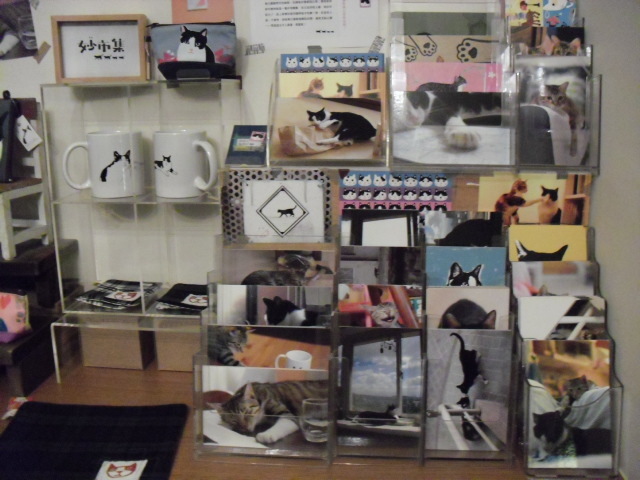 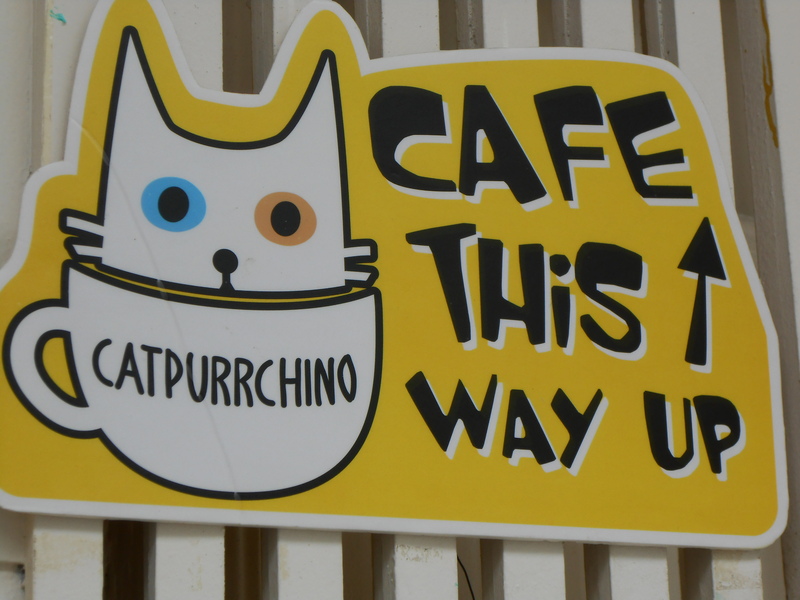 But the cafe has a nice atmosphere, comfortable seats, wi-fi available, and cute cat merchandise for sale. 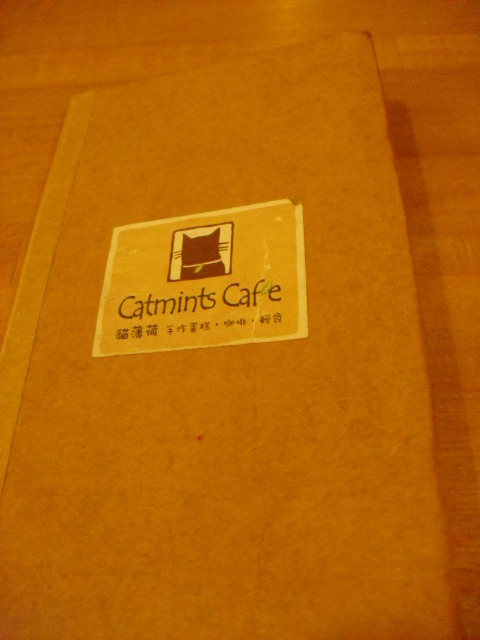 Coffees and teas start around NT$130 and a set (piece of cake and choice of drink) is NT$190. 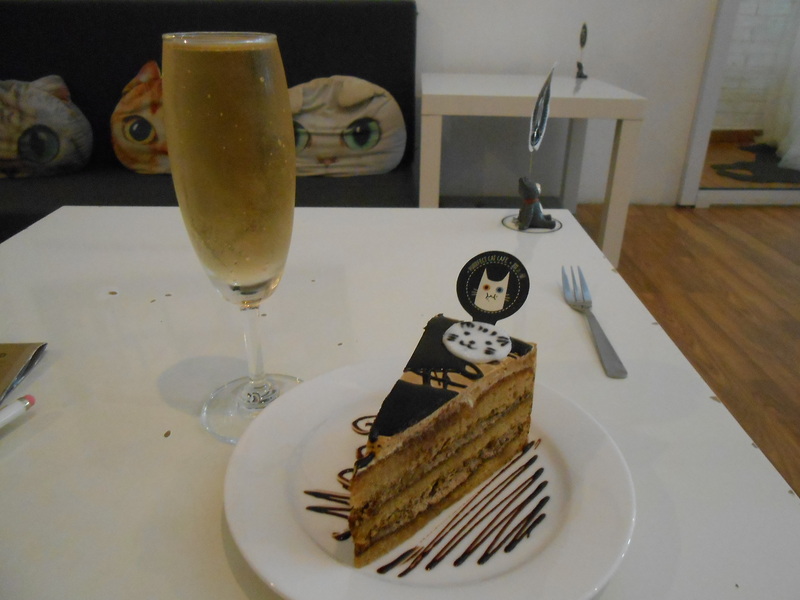 The shop specializes in cakes also selling a variety of whole cakes for around NT$600. 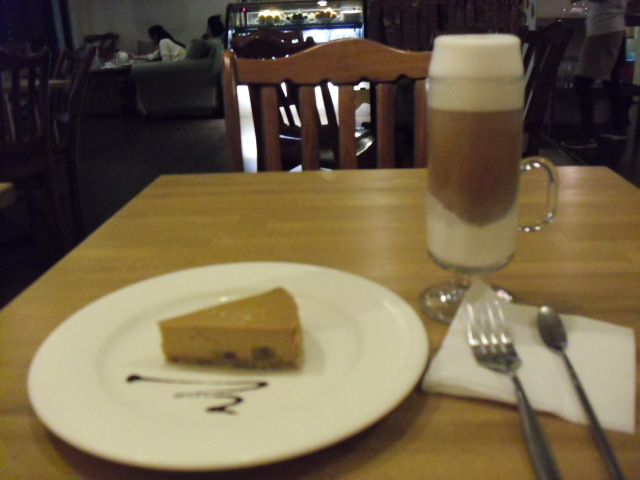 I ordered from the set menu and got a piece of caramel chestnut cheesecake and an Irish cream latte, both of which were delicious.